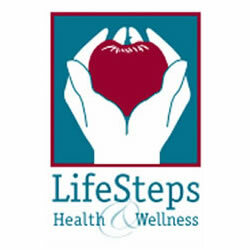 LifeSteps Health & Wellness Clinic will help you to achieve your optimal weight goals. We work with you individually to determine a plan that is appropriate for your health, life-style and level of commitment. Lipotropic injections are available at LifeSteps Health & Wellness Clinic for weight loss. Safe and Natural Supplement for increasing metabolism and stimulating weight loss. You should also experience a boost in energy levels. 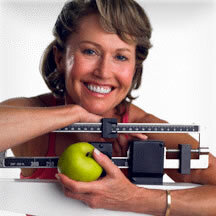 Weight Loss Philosophy – At LifeSteps Health & Wellness Clinic we believe permanent weight loss occurs when the focus is placed on nutrition and lifestyle changes. Our goal is to support you throughout the process. Many patients also discover that when their hormones, adrenals and thyroid issues are addressed, their body weight starts to normalize. This typically occurs when your system is functioning as intended, combined with the fact that you feel better and it is easier for you to become more active. Lipotropics is a fancy word for three amino acids that are essential for the health of your liver. Your liver is the organ responsible for removing fat and toxins form you body, so if it is healthier, it will work better for you. B12 gives you a huge energy boost, which helps you to burn calories. Methione is one of the sulfur-containing amino acids cysteine & cystine are others and is important for many bodily functions. It acts as a lipotropic agent to prevent excess fat buildup in the liver and the body, is helpful in relieving or preventing fatigue and may be useful in some cases of allergy because it reduces histamine release. Patients with a Sulfa allergy should not take this injection. The vitamin cocktail included in the B12 and Lipotropic shots are compounds that enhance liver function and increase the flow of fats and bile from the liver and gallbladder. By definition, a lipotropic substance decrease the deposit, or speeds up the removal of fat (lipo = fat, topic = stimulate) within the liver. The key amino acids used to make these shots are: Methione and Inositol. Choline supports the health of the liver in its processing and excretion of the chemical waste products within the body. Moreover, it is required for the transport and metabolism of fats and cholesterol within the body, which is important for the healthy support of the endocrine, cardiovascular and hepatic systems. Dr. Stula is proud to introduce the new state of the art technology of the InBody 720 to the Lifesteps Health & Wellness facilities. The InBody 720 is the precision body composition analyzer; it is FDA approved and uses internationally patented technology. InBody 720 provides a complete snapshot of your entire body with non-invasive testing, comprehensive results, and all the essential data for monitoring your health and fitness goals. Just a few of its uses include assessments of fitness and nutrition, hydration status, obesity management, weight loss control, examinations preventing geriatric diseases, sports medicine focusing on body development and balance, targeted exercise prescriptions, and much more!! Everyone is unique and we want you to be successful. For some of our patients merely getting their hormones in balance, or treating adrenal fatigue and thyroid conditions is enough help for them to lose weight. Some of other patients have been challenged with weight issues for many years and require a different type of support. LifeSteps Health & Wellness Clinic is also able to offer weight loss plans that are customized for you working with our lifestyle counselor. Some plans may include supplemental support; others may just involve behavior modification. Many insurance plans will cover nutritional and dietary support provided by our clinic.